Bendis got his start creating his own indie comics before becoming the undeniably huge writing force at Marvel for a number of years now, particularly with his entire Avengers franchise. I think it was his unique take on Daredevil that really got Bendis his time in the spotlight (pun intended) with Maleev churning out some of Daredevil’s most iconic art yet. While I love Bendis’ Avengers, I get particularly excited about the work that he has complete control in shaping and developing. 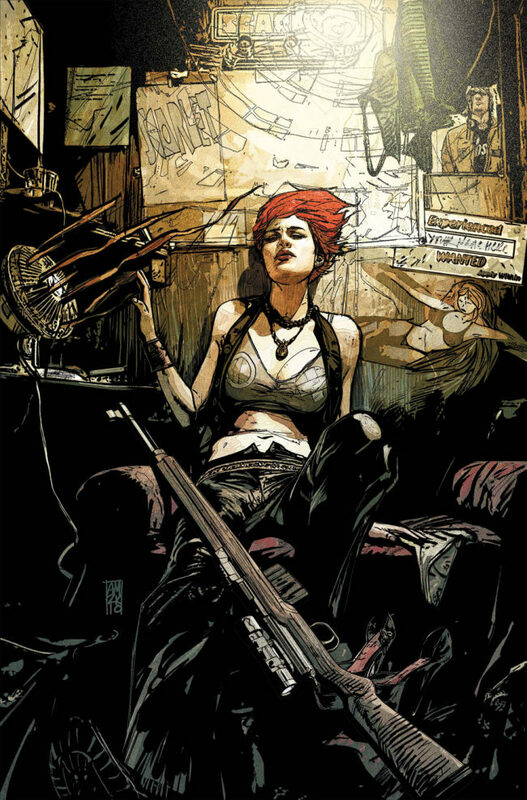 While reading Scarlet, it’s obvious that Bendis and Maleev are pouring their personal best into each page. This book features a girl named Scarlet, who experiences and witnesses utter horror and defeat at the hands of the authorities, rises up for vengeance and rebellion at our current American system. Sound a bit cliche? 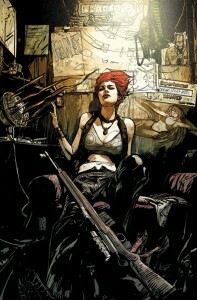 Well, Bendis and Maleev have created an extremely personal view of Scarlet and a very real world of Portland, Oregon, and while I still feel like the readers are still getting a lot of fundamental set-up in these first three issues, I know the slow-burning fuse of this TNT keg is about to explode. Maleev’s artwork is always awesome to see in print as he uses multiple techniques (photography, pencils, computer coloring, etc.) in each panel for a style distinctly his own. There’s always great extras at the end of each issue including pin-ups by guest artists, interviews, letter columns, trivia, etc. which is the kind of extras that keep readers picking up the single issues and not just waiting for the trades. This is one of those books that could really appeal to the “non-comic reader” easily as it is definitely not a superhero “capes” book, but more like a tv series you’d expect to see on AMC or HBO. This is issue 3 and with the number of reprints for issues 1 & 2, you shouldn’t have a problem finding this series and catching up to get ready for issue 4. Check it out. 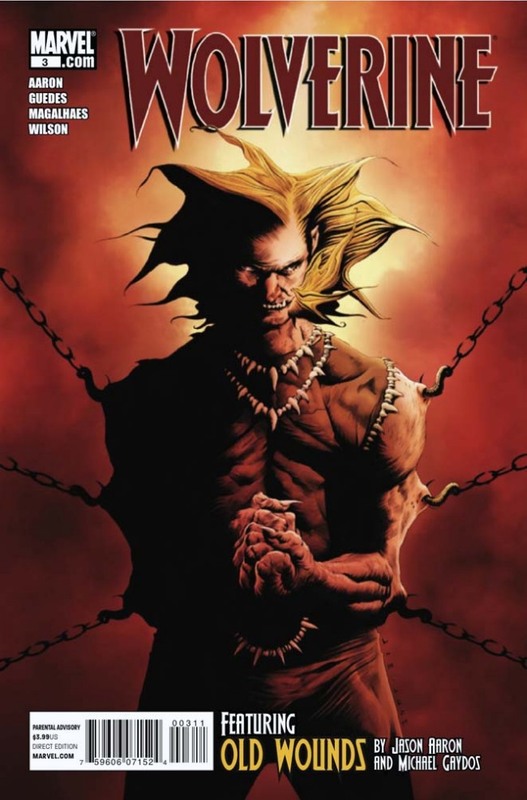 I was first introduced to Jason Aaron when I read his “Scalped” series for Vertigo Comics which continues to be so amazingly good that I’ve sought out and devoured everything he writes since. When I first found out he would be writing Ghost Rider, I was thrilled that the series would finally be getting the quality creative team it deserved and it ended up being this fantastic grindhouse-style romp with chainsaws, prison, gun-toting nuns, the Antichrist, and a battle for Heaven. After that book he took over Punisher MAX after Garth Ennis’ legendary run and has been killing it on that book just before starting this book. Aaron has had a short stint on Wolverine before in an arc called “Get Mystique!” but this book is even better. The (insert character’s name) Goes to Hell story plot is pretty overdone normally, but maybe its the incredible art by Guedes that really draws me in. Logan’s body has been possessed by a mysterious figure, his soul stuck in hell (he’s not technically dead), and his possessed body is wrecking the lives of those he loves on earth as his past sins meet him in hell. If you think about the sheer number of people Wolverine has killed and sent to hell, you know it’s going to be rough…especially when he doesn’t have near the healing power or the adamantium claws outside of earth. Throw in the Ghost Riders (Blaze and Ketch) and some ninjas and now we have a party! This is an insane read, just the kind of oomph my pull list needs every month. Again, it’s issue #3 so I’m letting you know now to go find those previous issues and catch up to the fun. Did I mention I love comics? This entry was posted on Saturday, November 13th, 2010 at 11:25 pm	and is filed under Comics. You can follow any responses to this entry through the RSS 2.0 feed. You can skip to the end and leave a response. Pinging is currently not allowed. « Zachary and Mildred: A Zombie Love Story Audition Notice and Script!! !